Douglas Stevens, MD, is an award-winning facial plastic surgeon that has served Fort Myers since 1997 at Stevens Facial Plastic & Laser Center. Double board certified by the American Board of Facial Plastic and Reconstructive Surgery and the American Board of Otolaryngology, Dr. Stevens is highly respected by his patients and fellow surgeons for his commitment to excellence. He has performed over 10,000 procedures with a demonstrated track record of great results. Dr. Stevens offers a variety of advanced anti-aging procedures, including facelift. An expertly performed facelift procedure can turn back the clock on aging by tightening loose skin and tissues, redefining the chin and jawline and smoothing deep creases around the nose and mouth. Dr. Stevens' goal is to produce a fresh and rejuvenated appearance without the telltale signs of surgery. Procedures such as eyelid surgery, endoscopic browplasty and cheek augmentation are also popular at Dr. Stevens' practice. Stevens Facial Plastic & Laser Center is staffed by friendly professionals that have been with Dr. Stevens for many years. The practice offers a variety of non-surgical facial rejuvenation services, including treatment with injectables like Bellafill (Dr. Stevens is in the top 1% of Bellafill® physicians and trainers nationwide), laser skin resurfacing, Ultherapy and more. To schedule a one-on-one consultation with Dr. Stevens and learn more about your facial rejuvenation options, please contact his Fort Myers practice today at (888) 589-4928. What Do Patients Say about Dr. Stevens? "I recently had a facelift procedure performed by Dr. Douglas Stevens, MD. I am 100% satisfied with the amazing results. Following surgery I agreed to participate in a new laser treatment that could have the potential to hasten the healing and recovery process. It was used only on the right side of my face. After three consecutive, four minute treatments, I observed and felt a significant decrease in swelling, tenderness and discoloration. Without hesitation, I highly recommend using this laser procedure following surgery." —P.J. "At the age of sixty, I decided I was very unhappy with the obvious signs of aging. I had real concerns about having surgery but Dr. Stevens and his staff walked me through it. The results have exceeded my expectations! And to use an old cliche’, I really do have “a new lease on life!” With every appointment, I was treated with such compassion. The entire staff is invaluable. How wonderful, at this stage of life, to feel so renewed!" —D.A. Douglas Stevens, MD, earned his undergraduate degree in chemical engineering from the Massachusetts Institute of Technology and his medical degree from Albany Medical College in upstate New York. He completed his general surgery internship and residency in otolaryngology at Bethesda Naval Hospital in Maryland and served 12 years of active duty in the Navy. He worked in the Naval Medical Research Institute’s experimental diving unit and was a staff surgeon before being named department head of otolaryngology at the Naval Hospital in Great Lakes, Ill. Dr. Stevens was recognized with several awards from the Navy during his service. 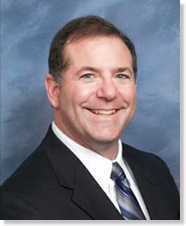 Dr. Stevens is double board certified in otolaryngology and facial plastic and reconstructive surgery. He is a Fellow and honor award recipient of the American Academy of Otolaryngology Head and Neck Surgery. Dr. Stevens was a member of the credentialing committee of the American Board of Facial Plastic and Reconstructive Surgery for three years. He has published extensively on topics pertaining to facial plastic and head and neck surgery as well as diving medicine.